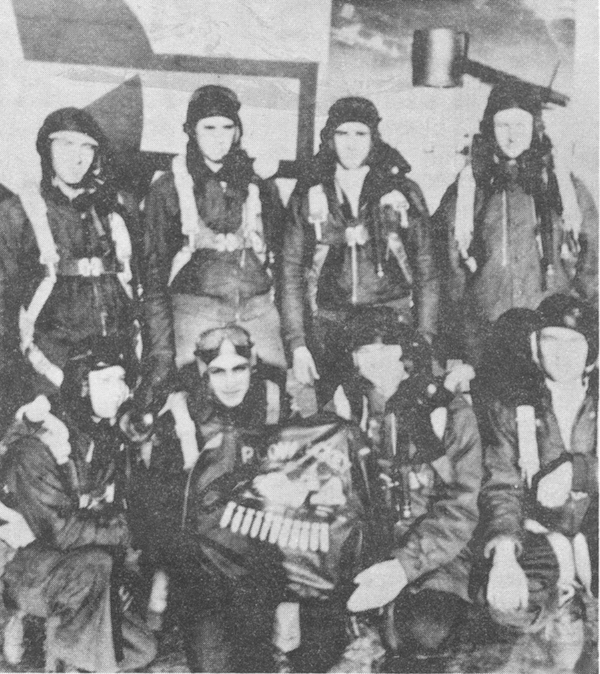 From the Flight Jacket, it appears the Springer crew B-17 was named "Plow Jockey." Standing L-R: Douglas Braham, Daniel Marks, Fred Fielder and Richard Polak. Kneeling L-R: Clinton Beard, Fred Edelstein, Robert Springer and Anton Rysak.